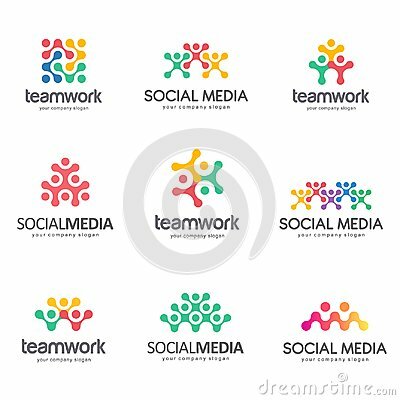 Set of vector logo design for social media, teamwork, alliance. Vector template. Abstract icon.